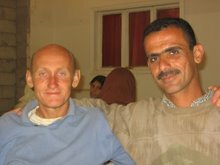 Tom Fox, a humanitarian peace activist who was kidnapped and eventually murdered in Baghdad in the spring of 2006, worked with Christian Peacemaker Teams (CPT), an ecumenical peace and human rights group that sends teams of trained peacemakers to work with local people in areas of armed conflict around the world. CPT, while finding its roots in the pacifist example of Jesus, is opposed to proselytization, and seeks to learn about and respect the religions of any country in which they work. (Canadians Jim Loney and Harmeet Sooden, along with British CPT member Norman Kemper, were kidnapped with Tom but were rescued, unharmed, in March 2006). 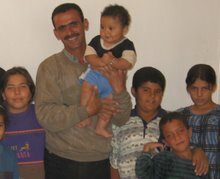 One of the last things that Tom Fox did before he was kidnapped was to get to know and accompany a group of particularly vulnerable and courageous people – the Palestinian refugee community in Baghdad. Although most were born in Iraq, Palestinians do not have Iraqi citizenship, nor the right to own property, vote, or even enjoy the security of permanent residency. Tom Fox and members of Christian Peacemaker Teams documented several accounts of such torture and abuse. 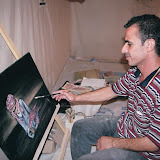 In October 2005, a group of five Palestinian families and four individuals decided to take the desperate measure of fleeing the capital to seek refuge in Syria. They asked CPT to accompany them along the dangerous desert road, because they feared the Iraqi army checkpoints that could detain and imprison them with impunity. 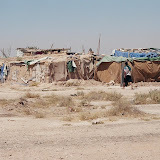 CPT volunteers Tom Fox, Sheila Provencher, and Beth Pyles accompanied the seven children, four women, and seven men along the journey, and stayed with them for two weeks in “no man’s land” between the Iraq-Syria border, living in tents and sharing meager food. 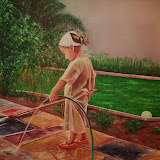 During those two weeks, the people became especially attached to Tom, and the children named him “Amu Tom” (Uncle Tom). They loved to play with him, getting piggyback rides from this gentle giant of a man. After nearly two months on the border, the refugees were finally accepted into Syria, and are currently confined to a UNHCR refugee camp in northern Syria. During the winter and spring, hundreds more Palestinian refugees fled Baghdad, and the numbers in the northern camp have swelled to more than 300, with even more refugees still stranded in no-man’s land along the border. 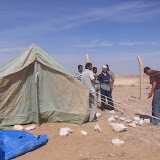 Conditions in the camp are extremely difficult, at times almost unbearable. The refugees receive subsistence rations from UNHCR, a weekly allotment of fuel for cooking and heating, and a weekly allotment of water. However, there is simply not enough food or clean water and the children and elderly suffer the most. They are quite desperate for a permanent solution, but their status as Palestinians makes it less likely for any Arab country to take them in, due to the delicate question of the right to return. UNHCR can provide material aid and has granted them status as Protected Persons, but cannot expend much energy in resettlement, again because of the political question of the right of return. 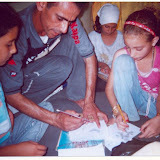 Meanwhile, CPT members returned to Baghdad and continued to document and publicize the plight of Palestinians in Iraq. 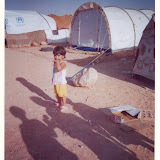 Rana Abdulla, a Palestinian-Canadian humanitarian activist, learned of their situation and put together a request for government sponsorship of the original eighteen refugees. These eighteen, who have come to be known as “Tom’s People,” after the gentle activist they loved, are hoping to live and work in Canada. 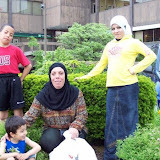 Because of their small number and because of the desperate nature of their situation, Rana Abdulla hoped that they could be accepted in Canada as government-sponsored refugees. However, the CIC turned down the request, requiring Rana to go through the much more lengthy and complex process of group sponsorship. The eighteen refugees filed their immigration applications at the Embassy of Canada in Damascus in February 2006. They received notification that they might not even have their interview appointments until the Spring of 2007. Meanwhile, they languish in the 120-degree desert heat of the camp. Hundreds more now wait for a chance to live and work in a land of peace and security. What country will see these courageous people as the treasures that they are, and welcome them as citizens?